This recipe is versatile and works well with a lot of seafood dishes as well as Pork or Chicken. 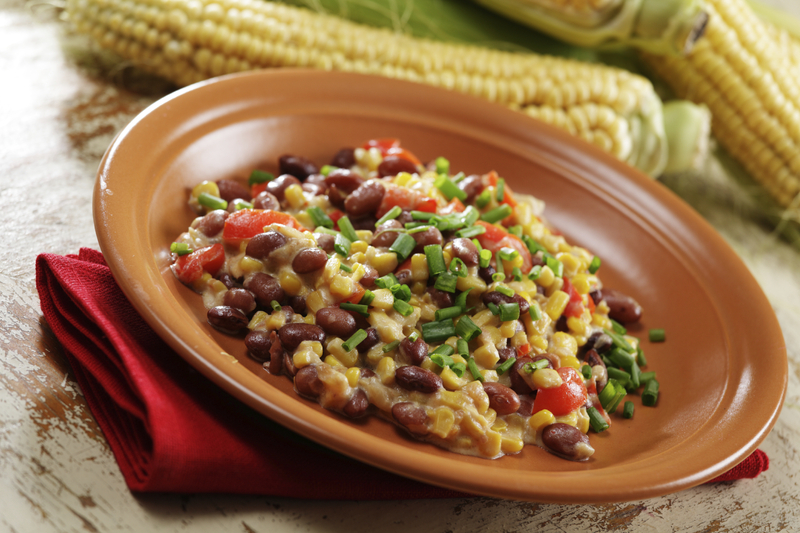 Simply sear your desired protein and present with the Succotash. A broth associated with your meat item may be used instead of the corn stock, cooked down with the corn stock, to correspond with the item you wish to present. All Beans should be cooked to individual specifications and have all excess liquid strained from them. Simmer all these ingredients with the cores of corn in 3 quarts of water for 1 hour. Strain the water out, and reduce until yield is 1.5 cups. In a stock pot, on High Heat, Saute the Yellow Onion in the Oil, Salt and Pepper until somewhat translucent. Add the Red Bell Pepper, Rosemary and Oregano and sauté for another three minutes or so. Add all the Cooked Beans and the Corn Stock and let simmer for a few minutes, being careful to keep liquid in the pan, bubbling up through the beans. Finally, add the Cream, Butter, Parsley, and Basil and finish with Salt and Pepper to taste. *If you don’t feel like making a stock, some canned broths are available, although not as natural and sweet. *If you don’t want to cook all dried beans, canned beans will do, as well as frozen butterbeans, but they don’t have the same texture and flavor. *For a truly unique touch, it may be fun to try some Vanilla Bean in the stock, and finish with a touch of Smoked Paprika.